We FISH & CATCH YEAR ROUND! Captain Mike has decades of fishing & boating experience and a top-notch boat outfitted to ensure a successful trip! Go fishing from the Freeport NY Nautical Mile on the South Shore of Long Island. Got the itch to fish? Go fishing with Captain Mike Year-Round! 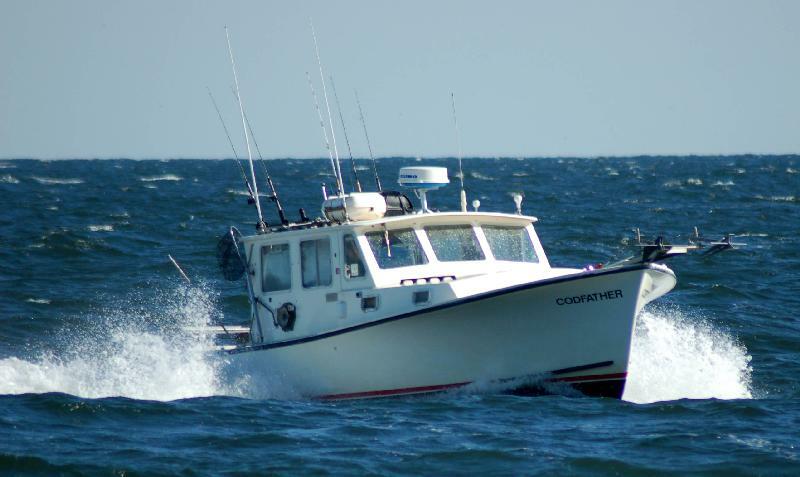 The CODFATHER is a 32' Custom J.C. Boat that the Captain has repowered with a 370HP Yanmar Diesel to cruise you to the fishing grounds at 20 mph! This Downeaster takes on the seas and ensures a safe, comfortable ride out to the fishing grounds. All Tackle along with Bait and Ice for the trip is provided as part of the charter fees. All fishare the property of the chartering party and will be cleaned, bagged and iced by the mate for your convenience! Beer IS permitted onboard. NO hard liquor is permitted. As per most charters, we appreciate a customary 15-20% tip for the Mate. All charters require a $150 deposit upon reservation. Weather verification via phone the night before the charter date. All deposits are refundable if the charter is cancelled due to weather. When making a reservation please call to verify the current rate and type of excursion desired.